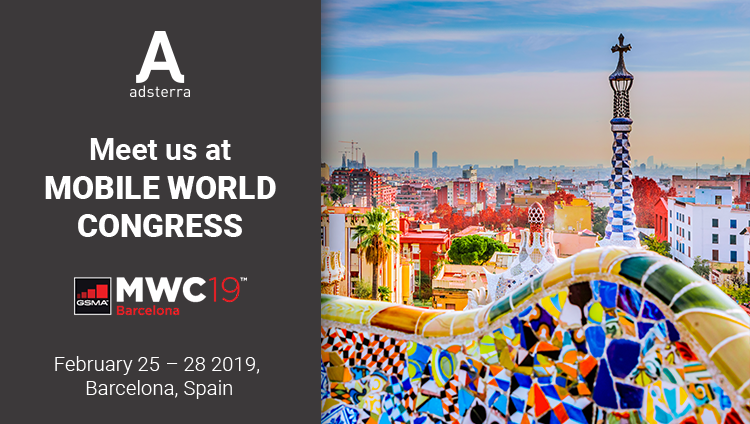 Adsterra team is headed to Barcelona for Mobile World Congress 2019, the largest mobile event in the world that brings together the latest innovations and leading-edge technology. We’ll be happy to meet you there from February 25 to 28! MWC Barcelona will take place at Fira Gran Via, an exhibition and conference facility where visionaries from more than 2,400 leading companies will share their views on the latest trends, innovations and explore the hottest topics influencing the industry. The event also features extensive learning opportunities from dozens of partner-led programmes, GSMA seminars, summits and more. Everything you need to know about the industry, today and beyond, can be found there. 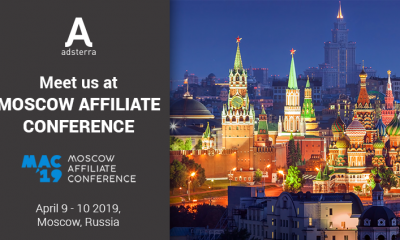 Make sure to meet Adsterra team at Booth 8.1G49 (in NEXTech Hall 8.0) and discuss exciting business development opportunities! Book your meeting today!